In life, everything is balanced: if you lost something, you will find something else somewhere else unexpectedly. Sometimes it happens that something goes totally differently than we want. Just believe that if one door closes, there would be for sure one more which is open, and which might even be better and might bring you more happiness. God knows better which things we need at this stage of our life. Just believe – everything that happens is happening for your best. Enjoy your life! Be happy! 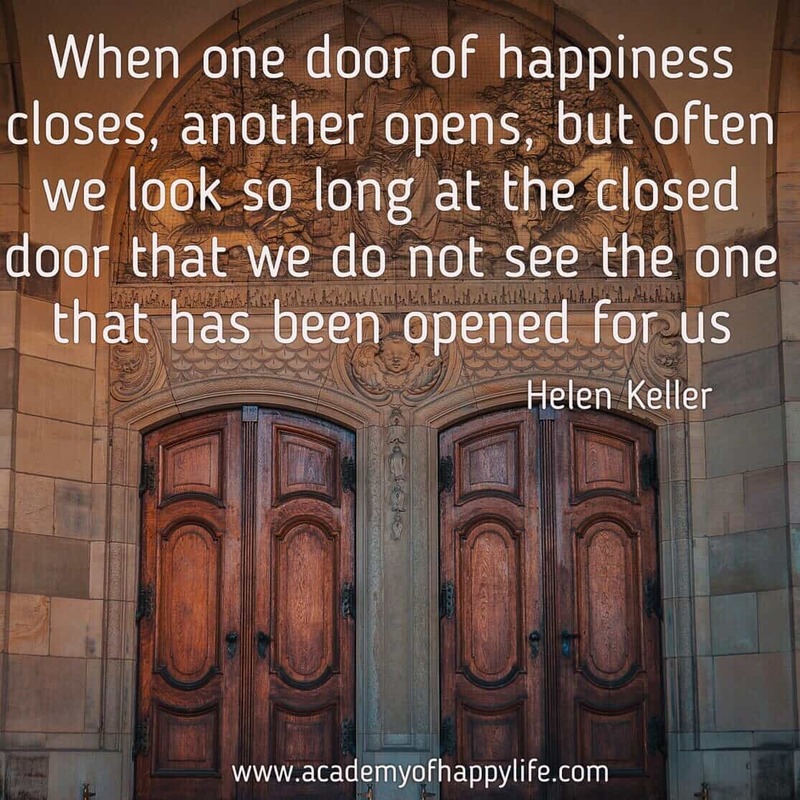 Be open to new opportunities!